In early November, Kath and Lydia took a three-day, whistle-stop tour of Ghana to share the results of our Condatis analysis in the Krokosua Hills landscape with Project Partners. It was great to return to Ghana and to see our principle contact again, Winston Asante, and to meet the REDD+ Secretariat of the Forestry Commission of Ghana. It was less great to spend three days on aeroplanes and in offices (we are investigating carbon offsetting options! ), but we were very pleased with how the trip went and with the level of interest in using Condatis amongst those that attended our workshops. Fig. 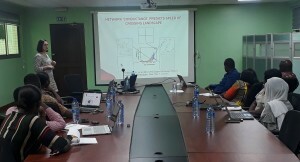 1 Kath introducing Condatis to the Climate Change Division of the Forestry Commission of Ghana, at a workshop on 7th November, at their Headquarters in Accra, Ghana. We spent on one day training seven members of the Climate Change Division of the Forestry Commission of Ghana, on how to perform their own flow and dropping analyses using Condatis. We received some very interesting questions and useful feedback on how the tool might be used and how we can improve our knowledge exchange activities. We thank everyone who came along and contributed. The Condatis analyses we ran for our Ghanaian case study landscape (e.g. Fig. 2) provided an illustration of the information that Condatis could provide for other, larger landscapes in Ghana where the Forestry Commission of Ghana are working. Attendees were particularly interested in exploring the use of Condatis outputs as key information layers for developing integrated landscape management plans for the ecologically and socially diverse Western Corridor of Ghana, connecting the coast to Burkina Faso. 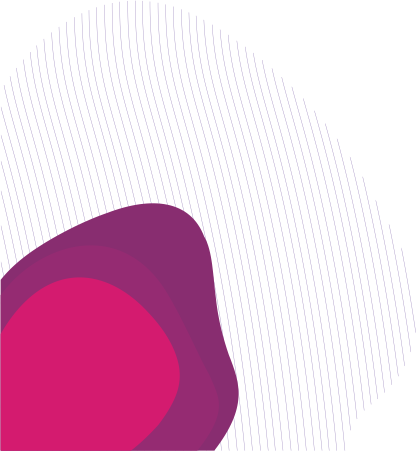 We look forward to hearing how our Project Partners are interested in developing projects further (and will keep an eye out for funding opportunities!). Fig. 2	Two maps showing details of the Ghanaian case study. 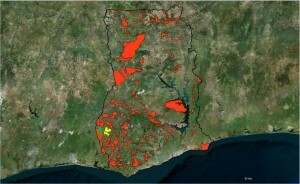 LEFT: A map showing the distribution of protected areas within Ghana, highlighting the location of the Krokosua Hills Forest Reserve (yellow) and Bia National Park (green) in the southwest of the country (left). 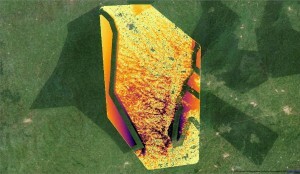 RIGHT: A flow analysis output from Condatis, displayed in QGIS with a Bing Aerial basemap. For this analysis, the following parameters were used: Krokosua was set as the Source, Bia as the Target; the Source/Target were created as 1km buffer zones along the edge of each of the protected areas; dispersal distance was set to 0.2km and reproductive rate to 2000 individuals per km2 (representing a theoretical invertebrate species). Next stop, Indonesia! Watch this space for a report on our trip in early December.